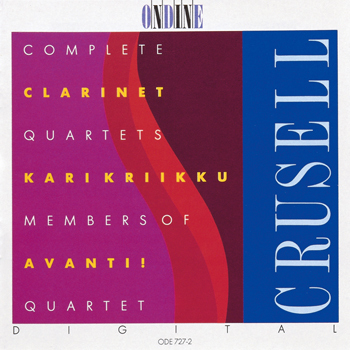 This CD contains the three clarinet quartets (written in 1812, 1816 and 1823) by Bernhard Henrik Crusell, who is the most significant Finnish-born composer before Jean Sibelius. The recordings feature clarinetist Kari Kriikku and three members of the Avanti! Quartet (including the young Sakari Oramo on violin).